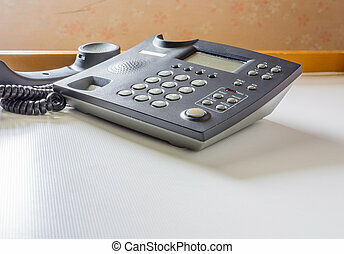 Desk telephone off hook. 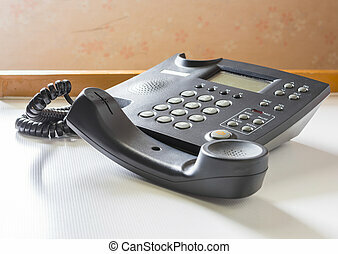 Telephone handset off the hook on desk. 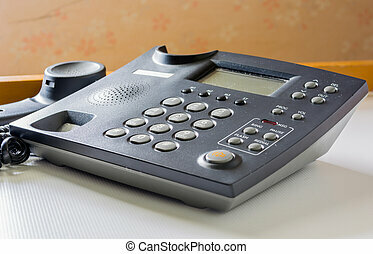 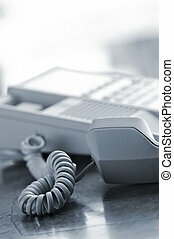 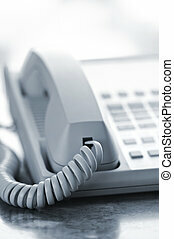 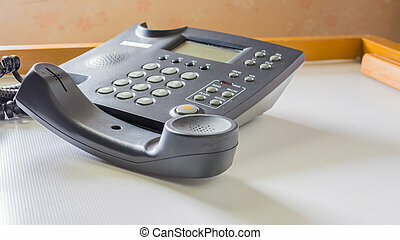 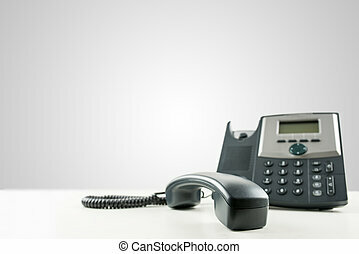 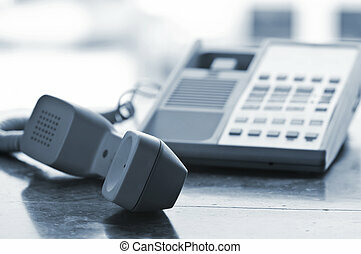 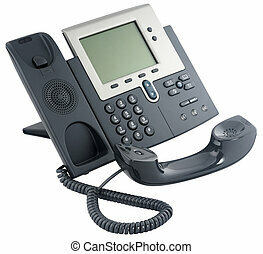 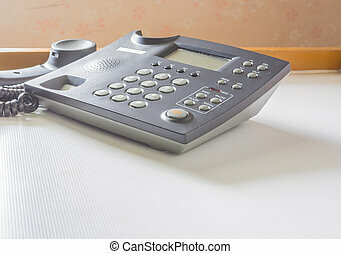 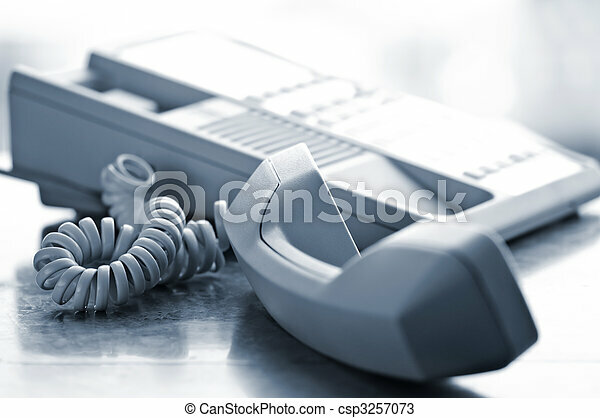 image of telephone with receiver off hook on table. 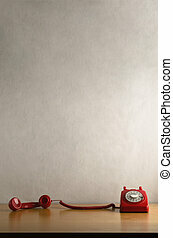 Eye level shot of a retro red dial up telephone on a light wood veneer desk or table with handset taken off the hook and trailed across it. 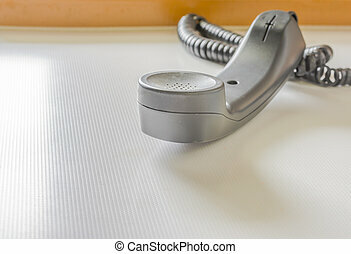 Off white background with copy space above. 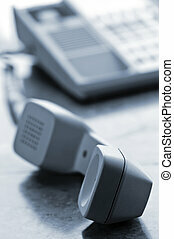 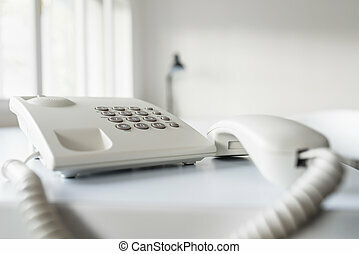 Classical white landline telephone with receiver off the hook on an office desk, low angle view. 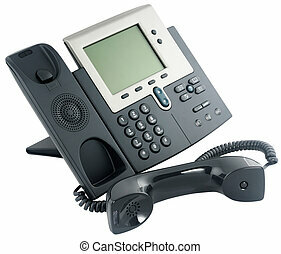 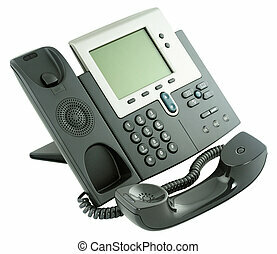 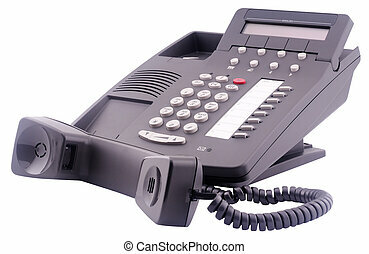 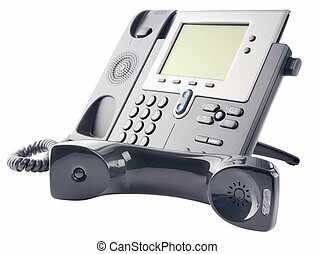 Close-up of a black business landline telephone with the receiver off-hook, on an empty desk, with copy space on the grey background. 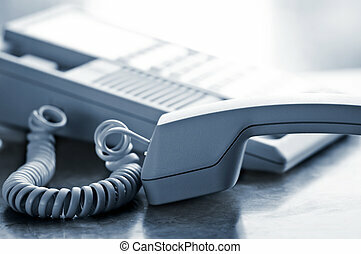 Conceptual of customer service or customer support.